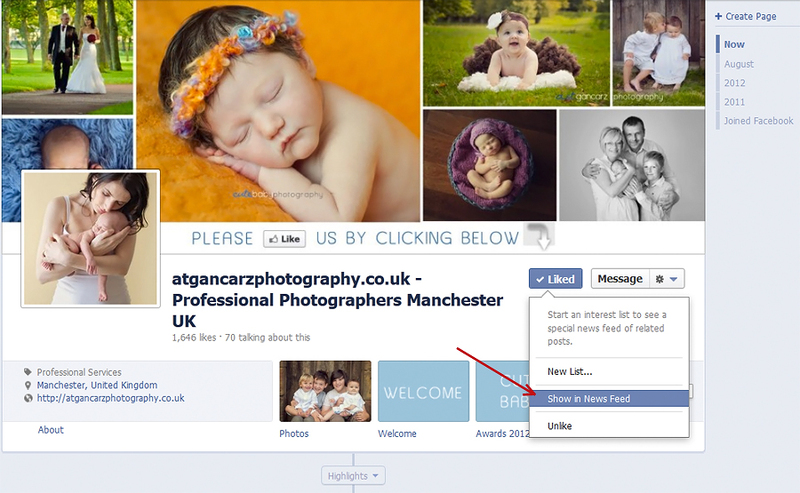 We want to make sure that you continue to see our work on our Facebook Fan Page. If you’d like to continue seeing A&T Gancarz Photography work, there are a few things you should do in order to increase the likelihood that we will continue to appear in your newsfeed. When you “like” a page, this should automatically select, but just to be sure, head over to our pages, hover over the “liked” button, and make sure “Show in Newsfeed” is selected. 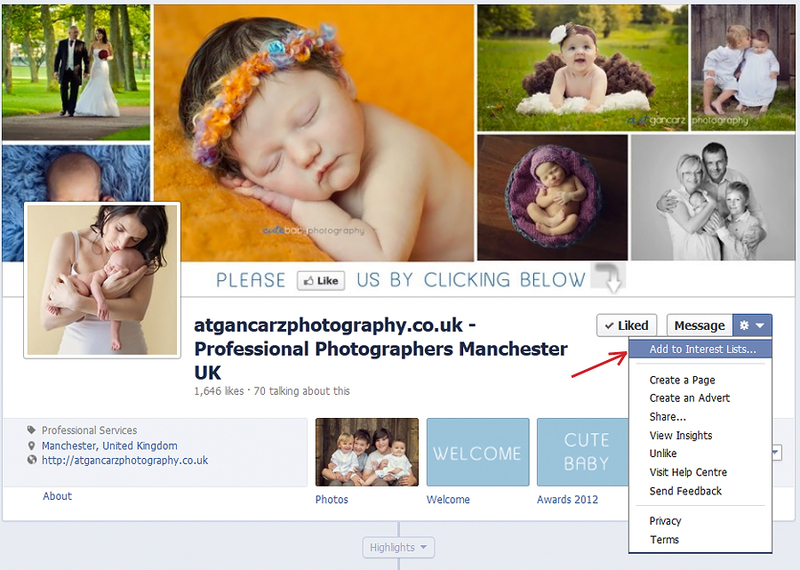 The more you comment and like posts on our page, the more likely you are to see our posts. 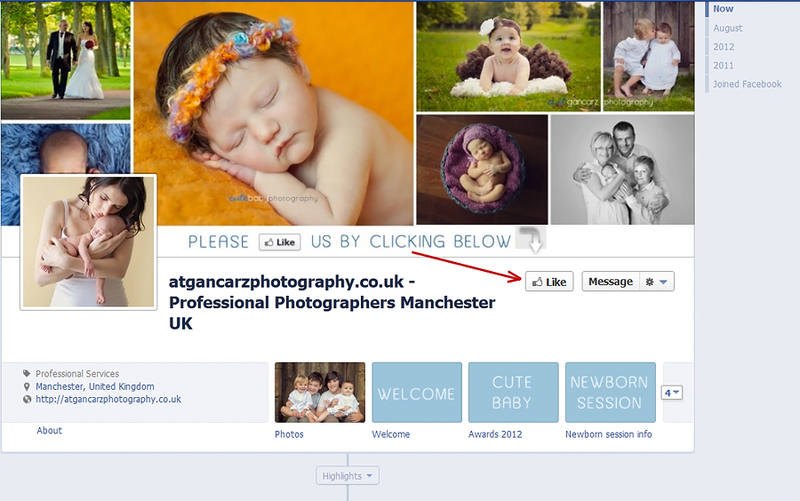 The higher your interaction, the more Facebook’s algorithm knows our page is a place you like to hear from. Be a love and “Like”, “Share” or “Comment”…It’s always so great to hear from you! Add pages you want to view to an “Interests List”. This doesn’t necessarily mean all our posts will come into your newsfeed, but you can ensure you don’t miss a post from us by narrowing brands into categories you check as lists. It will then prompt you to either add this to a list (if you’ve already created one) or to create a new list. Select the pages you’d like to add and name your list. 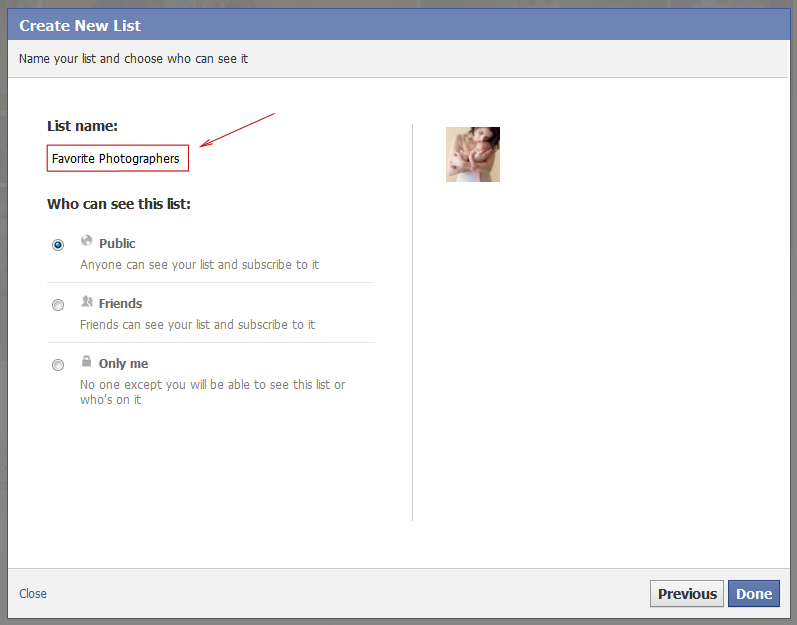 Here we created a list for “Favorite Photographers”. 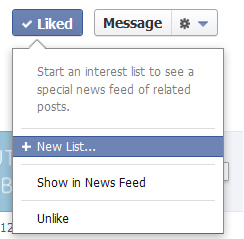 Now from the left side of your newsfeed you can click on your list to view all the posts from the pages you added. Please “Like” and “Share” our page A&T Gancarz Photography – Cutebaby Photography with others in order to help us promote our work! Thank you!